I have loved the original Dim Sum Garden ever since I moved to Philly in 2009. Its grunginess was part of the appeal. That’s probably why it took me so long to get around to the newer, cleaned up location on Race Street. Everything is bright and shiny without the added flavor of Philly’s homeless right outside the window. I just hoped the food stayed the same. For more on the ownership controversy behind the old and new spots, see here. 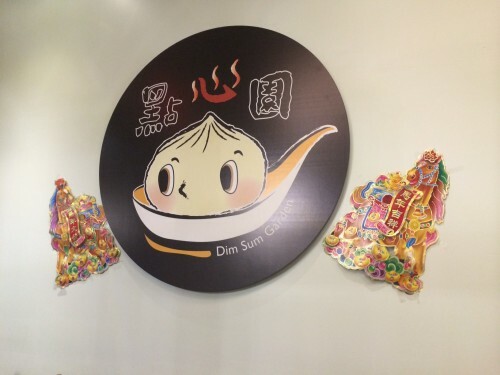 Sidenote: The new logo features a blushing/overheated soup dumpling with inquisitive eyes. Can someone please buy me a shirt with the logo? I must own it. I associate mooncakes with the Chinese New Year as well as with my list of things I don’t enjoy eating. Mooncakes are typically filled with redbean paste and are best used as paperweights. However, I felt differently after seeing a pork and beef mooncake special on the menu. The flaky shell held a flavorful mixture of meat. This is a mooncake I would actually eat, instead of keep in its package for a year before throwing it out. But at $3.50 for 1, it isn’t the best value given the rest of the menu’s prices. 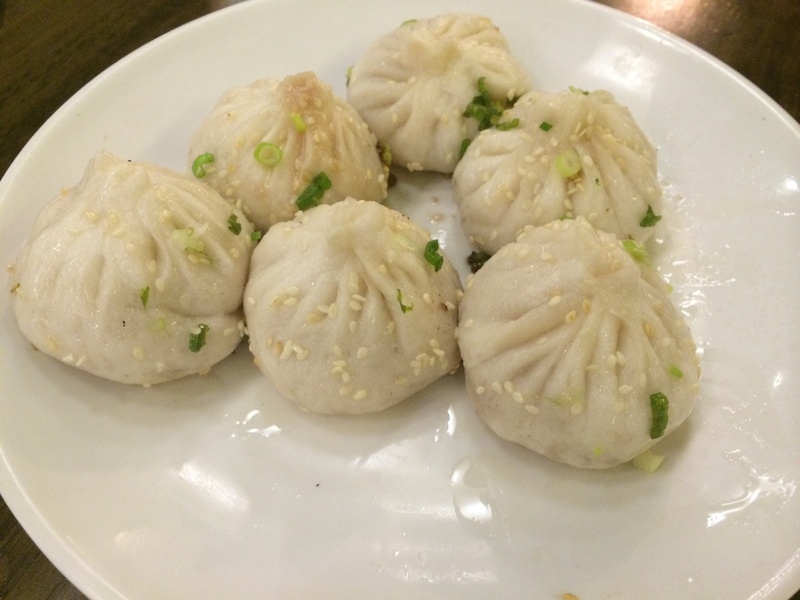 I had found Dim Sum Garden’s soup dumplings/xiao long bao to not quite have as much soup as I like. This times, I ordered their pan fried version (6 for $5.75). The sesame seed dotted dumpling skins are less sticky then their non fried counterpart. I assumed correctly, that less soup would work better here. I got a bit of soup with my first bite and then enjoyed the extremely juicy pork filling. I added some dumpling sauce, but these guys were good on their own. I highly recommend trying these here. I need to revisit Sakura to compare their pan fried verison. Have you had them at either place? Are you team pan fried or classic xiao long bao? 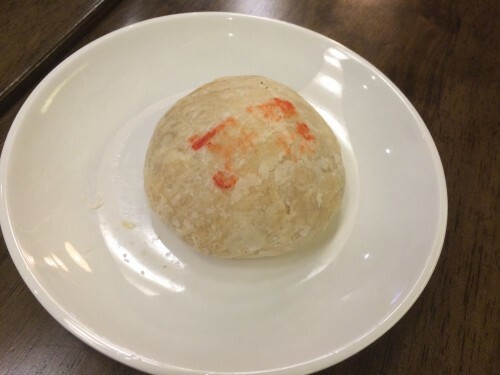 Posted by Jamie at 1:09 pm, September 2nd, 2014 under Chinatown, dim sum, dumplings.